Overcoming target panic isn’t going to be easy and it certainly isn’t going to happen overnight. But if you are serious about working towards improving your archery shot and are actively looking for tried and true target panic solutions, you will be able to move past these issues and get back to firing accurate, anxiety-free shots. Get some rest -- No matter what you're shooting or shooting at, if you're overly tired or exhausted, you're never going to be able to overcome target panic. You need to be relaxed, calm, and fully energized -- a good night's sleep can help you get to where you need to be. Purchase bow trainers -- Archery training devices are great tools for archers at all skill levels to utilize. Not only will these devices help you practice your draw, but they will also give you confidence and can help overcome target panic. 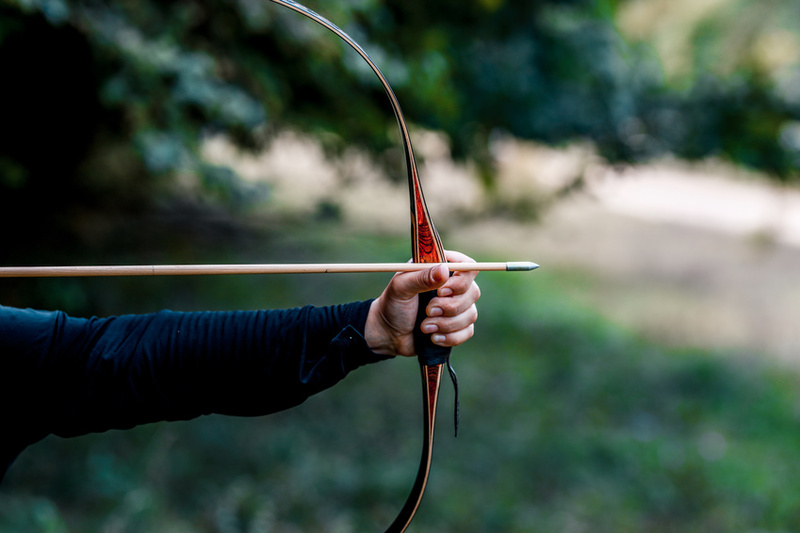 These bow trainers can even be equipped with archery apps designed specifically to help combat target panic. Shoot with your eyes closed -- Tyler Jordan is an experienced archer and has suffered from target panic in the past. His method might seem a little dangerous, but as long as you're with someone who can spot you, you should be fine. "I've had target panic a couple times in my life," Jordan said. "What's helped me is shooting with my eyes closed a few times. I tend to put too much energy and focus on aiming and keeping the pin in one place, which is essentially impossible to do. The purpose of shooting with my eyes closed is the feeling of complete relaxation and not focusing on the aim, but the feeling of releasing that shot that I’ll try to replicate with my eye open after doing that a few times." If you want to learn more about target panic solutions or find quality archery training devices, give AccuBow a call today!